ENG | Confidential: VSonic Interview. Part II - Headphoniaks.com | Tienda Online de Auriculares y Sonido Portátil. We started the first part of this post describing Mr. Maico’s desk, the hideout where the founder of Vsonic exiles himself to prepare his creations; so in this second part we’ll tell you about the other inevitable half of Vsonic: their factory. For those who have never been in a Chinese factory, it’s necessary to point out that Vsonic’s facilities don’t fit the (often accurate, truth be told) stereotype of insalubrious factory packed with workers working twenty-four seven in deplorable conditions. Neither are there kids, or guards with a stop clock and a whip. Vsonic belongs in that new wave of Chinese brands that opened the path to internationalization, fared well and let modernity sneak into their facilities. It’s a brand new factory, with huge windows, plenty of light, and the working environment is as normal as those we know in the west. Furthermore, we are told that most of the staff has been here for a long while, as training new workers isn’t easy or quick. From an industrial angle, Vsonic manufacture their own dynamic driver, they don’t buy them from third parties, so from the beginning it comes as a surprise that, while the production of components is fully mechanized, a large part of the delicate assembly process is handmade. Then you notice the ability of these workers to weld cables, insert tiny drivers inside their capsules and seal them, and you realize that no machine in the world could do this better or faster. 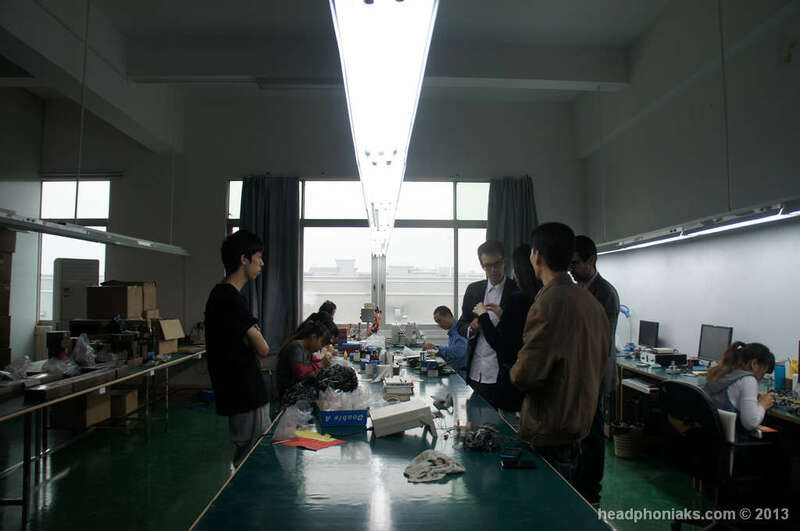 Because here, unbelievable as it is, every single earphone, from the most expensive to the cheapest, are assembled and tested by hand one by one. Components enter by one side of the table and, once they reach the end of the table in front of the former, they’re totally mounted and tested. A productivity expert might have something to refute, but they’re certainly doing fairly well as, they inform us, the returns ratio is very low. That said, here’s the second part of our interview. 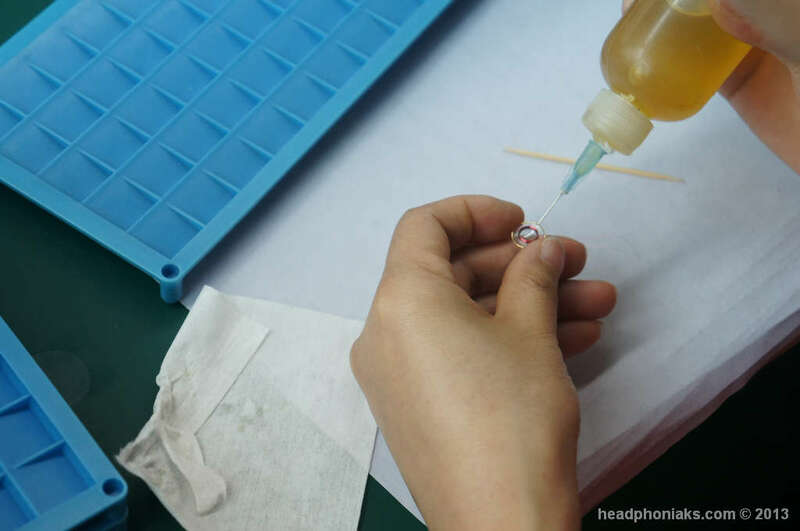 HPK: Like many other Chinese brands, Vsonic began competing mainly in the field of price –you know: manufacturing well-sounding earphones at an affordable price. With the GR04 and that sort of mid-low range products you get something fairly good for what you pay. But we’ve witnessed a tendency towards higher profile products like the GR07, your flagship, the GR01 –to many, the best Dual Knowles driver installation− and the forthcoming V7007. What’s your goal? Are you planning to install more and more drivers or have you reached a pint where you think “Alright, this is it, we’re not going to release products above this price”? Maico: Before answering, I’d like to ask you a question. What do you think about the prices of the GR07 and GT06? HPK: As user, I think that the GR06 is very good as mid-range product; you don’t find anything similar or better within that price range. As for the GR07, I think it’s a great earphone, but in this case we’re talking about a price range where you find other brands like Shure, JVC, Westone… manufacturers with pretty good products too. As we move towards higher ranges there is more and more competitiveness and details gather importance. Vincent: GR07 is doing very well right now, and we have no plans of releasing other products within its price range. As for more high-end products, like the forthcoming V7007, we aren’t going to release more than one or two, just to show that we have the technology and skills to make them. They will be symbols rather than purely commercial products. Our main business is the mid range, around $50-$60, perhaps a little more; those are the products that keep the company going. Vsonic’s high range is a symbol and a challenge, a means to keep the company’s spirit both inside and outside. HPK: One think I’ve learnt working as an engineer is that when you are developing a high-end product, you notice things you hadn’t noticed yet, like side effects, and once you learn to control them you became able to apply those solutions to lower-priced products. That’s why, working on those high-end IEM’s, you might come up with innovations to apply to your mid-range. Vincent: Yes, in fact we always set developing products which can compete with more expensive ones. This becomes possible after devoting some time to research and learning how to integrate the necessary components at a lower price. HPK: Now, for instance, you are working on the V7007 above the GR01. Vincent: The V7007 will be our flagship in the Dynamic and Armature combo. Then we have something that will become our flagship of Double Dynamics. 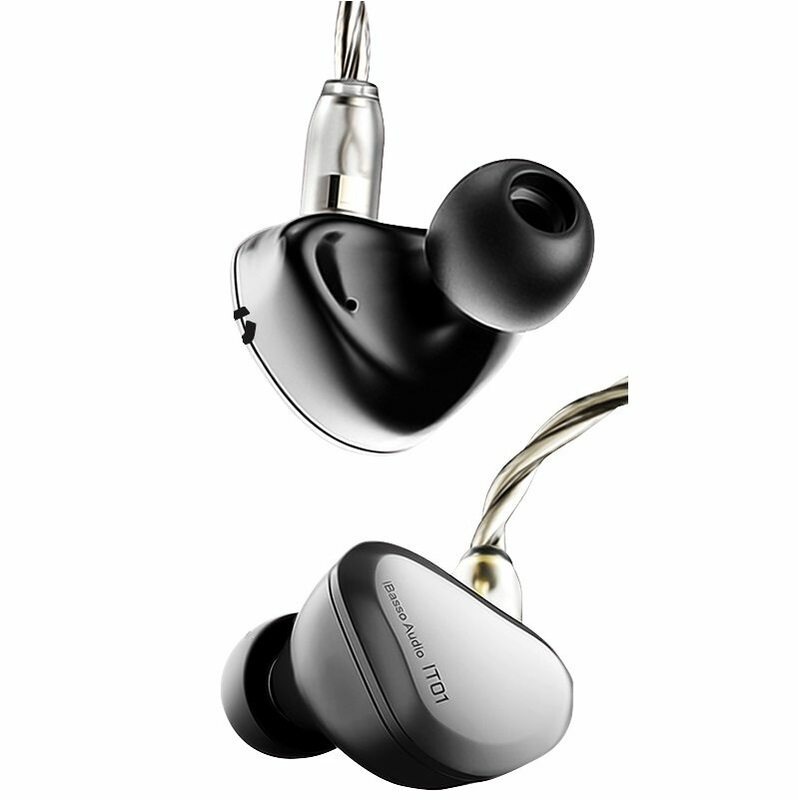 It will be an evolution of the GR07, a totally Dynamic high-range earphone. Both are still being developed. We stop the interview to brew some more tea. The one that remained cold in the mug is thrown away, and the mugs are refilled. The whole process takes place in a quiet, slow fashion. HPK: Which are your main competitors within the Chinese market? Do yo consider brands such as Soundmagic, Visang, etc. to be so? Or do you think you’ve reached a position in which your mainc competition is located overseas, being so brands such as Shure or Senheiser? Vincent: We don’t believe SoundMagic of Visang to be our direct competitors. First of all, because they don’t have the technology to manufacture products aimed at an audiophile audience; their target is the urban user. They find themselves within the 30-dollar range, a price more typically found in supermarkets; they release products according to the mass market demands, but their products don’t reflect any brand spirit. Vsonic has more in common with companies from everywhere else in the world that have their own style, their own spirit, and we consider those companies to be our actual competition. HPK: Could you name some of those competitors? Vincent: I can’t mention just one. Most of those companies have been around for years, and we owe them a great deal of respect. We’ve found our place within a certain price range in which we can compete with them. Shure, for instance, has some mid-range products with which we know we can compete. HPK: How does Vsonic face the development of a new product? You’ve mentiones a particular price range. For example, do you start up with a particular driver and then think “Alright, let’s see what we can do with this driver?”, or do you try to fit the price range you have in mind from the beginning (for instance, integrating a triple driver within the possibilities of a given price)? Vincent: First of all, we set as a goal developing a product within a specific price range. For example, if we see that a certain product gets a good reception, we try to create an extension of that product. Our goal is to have our products compete with other brand’s products that cost almost twice as much. HPK: These days the tendency seems to be fitting more and more drivers in the same earphone, sometimes up to five or more drivers in each. This, of course, increases the price. Do you think that’s really important, that it makes a significant difference as for sound quality? Maico: Most of those driver-loaded earphones are often armature drivers. The main issue with piling so many drivers is the mixing of frequencies. For example, within a five-driver IEM you’ll probably find one super-bass, one bass, one for mids, one for high frequencies and one for super-high frequencies. Ideally, each one would work within its own zone, but when they’re not properly isolated, one certain frequency will get mixed with others, smudging the final sound. In order to solve this you need to use LC filters, which would force you to make bigger earphones to make room to all those drivers and their pertinent LC filters. These loud-speakers, for example (he’s referring to the Focals again) have only three drivers and some huge LC filters, but it’s very hard to integrate all that within a pair of tiny IEMs. Andf tiny IEMs is what we make at Vsonic. We do have the terchnology and licenses to intall three drivers, but we don’t have in mind fitting five in each earphone. HPK: So you aren’t considering getting into that. You have found your sound using two or maximum three drivers, and you don’t need to use more than that. Maico: That’s it, it doesn’t take that many drivers to reach a good sound quality. Two or three will do. One driver alone of 5 to 2,4khz allows us to create a flat frequency curve. You only need to add one more to compensate that lack of treble. SO with only two drivers we can reach that quality and balance, without needing to include a LC filter, which saves us space. HPK: In recent times I’ve observed that those filters are often substituted Digital Signal Processors (DSP) that do all the filtering within a tiny chip directly connected to the drivers. Have you considered installing these sort of devices in Vsonic products? 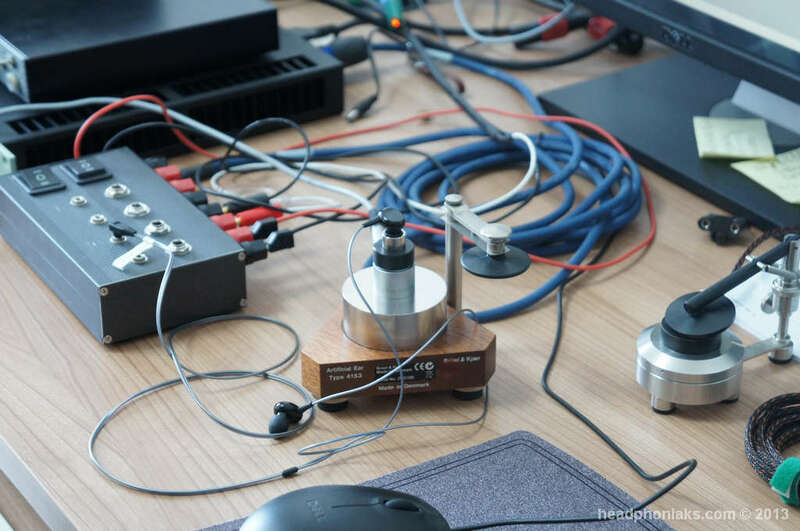 Maico: Well, those devices require a dedicated power source, so it’s not possible to integrate them in classically conceived IEMs for the moment. HPK: Now that your company stands out as a referent in its field, have you considered enlargening you product range? For example, over-the-ear headphones, or adding microphones, or even developing products aimed to iPhone or smartphone users. 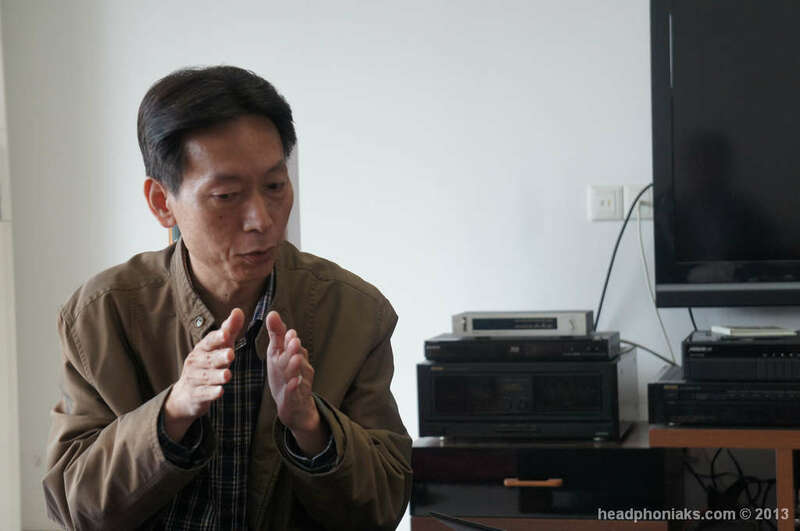 Maico: Yes, we plan to launch over-the-ear headphones, probably by the end of the year. In fact, we’ve been designing this sort of products for years and now feel confident enough to sell over-the-ear Vsonic headphones that fit our quality standards. 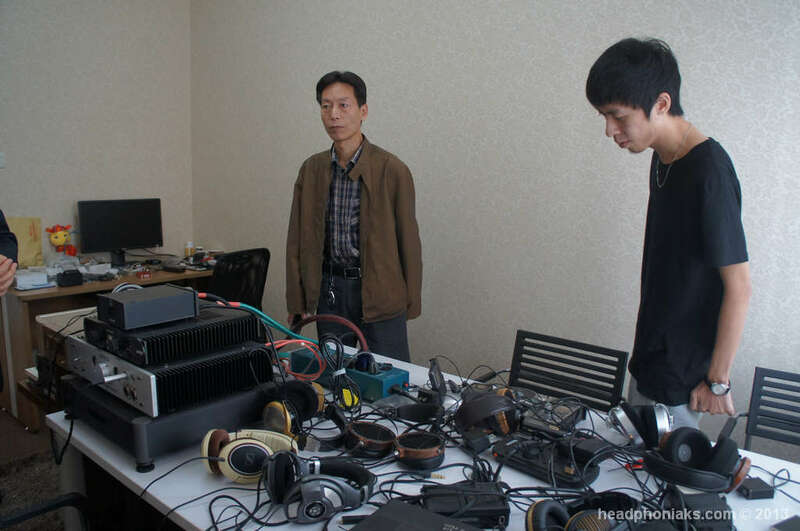 Now that we’ve found a way to accomplish a good sound quality, our main focus is the looks of the product, and whether we have the muscle to evolve in this field. As for iPhone earphones, we are manufacturers for AFI, which means that we are in fact ready to make them and have the required Apple license, so in this sense that shouldn’t be a problem. 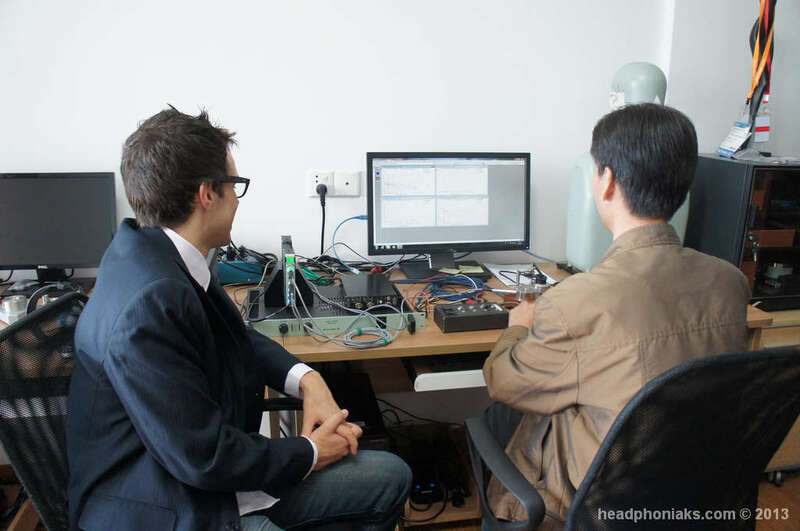 And when it comes to heaphones with microphone, we are OEM for other brands, so we can manufacture those as well. Vsonic is our own brand, but we work as OEM for others too. For example, we manufacture various accessories for mobile phones. HPK: By the way, one of our partners in the company is really passionate about drivers, and would like to know which is in your opinion the best drivers combination in order to obtain the signature sound Vsonic aims for and that, as you mentioned before, allows you to get as close as possible to the natural sound of these speakers. 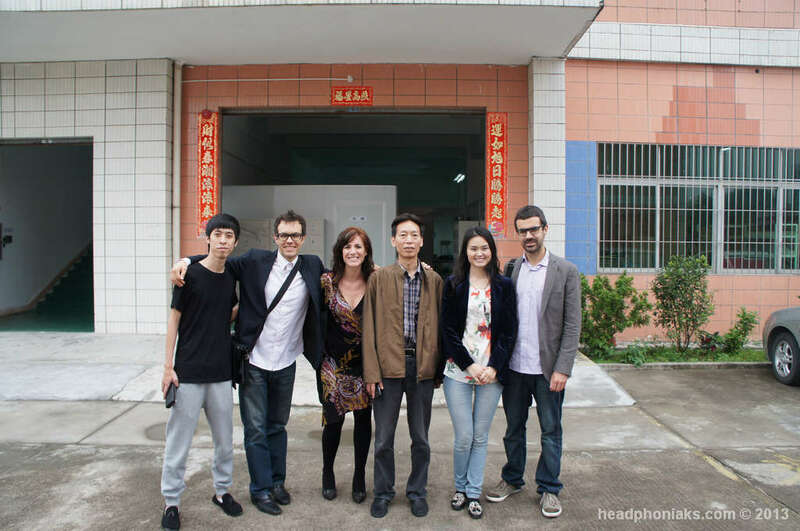 HPK: It is increasingly frequent to see people with their earphons on everywhere. The bidding is a boom in the market. Why do you think this is happening? It is obvious that smartphone make it easy for people to carry their music with them everywhere they go. Is this the reason for so many manufacturers to appear suddenly, or is this merely a profitable market worth being involved in? Maico: Well, it is tre that there are more and more manufacturers, and we know that they are in the industry for profit only. But it is not adventurous to say that many of those who are now getting on board will eventually fall off. Why is that? Because they lack the necessary technology in the field of acoustics. Most of those brands require small manufacturers to produce for them as OEMs, and those factories don’t have the technology to manufacture of install drivers that will work well together. So the ures’ final judgement will act as a filterand will lead to a scenario where only compaies with the due capacities will survive. Here at Vsonic we have a large knowledge of acoustics, and a highly developed technology in this field. We are not really worried for those companies, because what we have here is the same as in any other buoyant industry, and we know that many of these brands will eventually be gone. 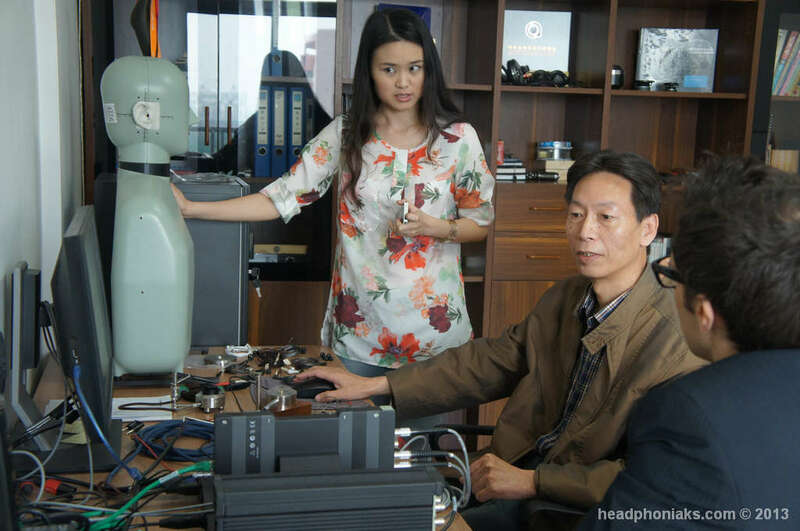 HPK: To put an end to this interview, a couple of words for the European audiophiles? Maico: Thanks a lot for your interest in Vsonic products. We hope to be able to offer better and better products. Again, thanks, and greeting.